Stonerid is an unusual and really difficult 2D platformer for Windows. The most important feature of the game are two parallel, different worlds. To finish each of 32 different levels, one must deftly use differences between alternative dimensions. Unconventional game style, and lots of dangerous traps and monsters make it extremely difficult to rise to the challenge. The main task is to solve the mystery of toxic substances that have appeared unexpectedly on Atronast Mountain. 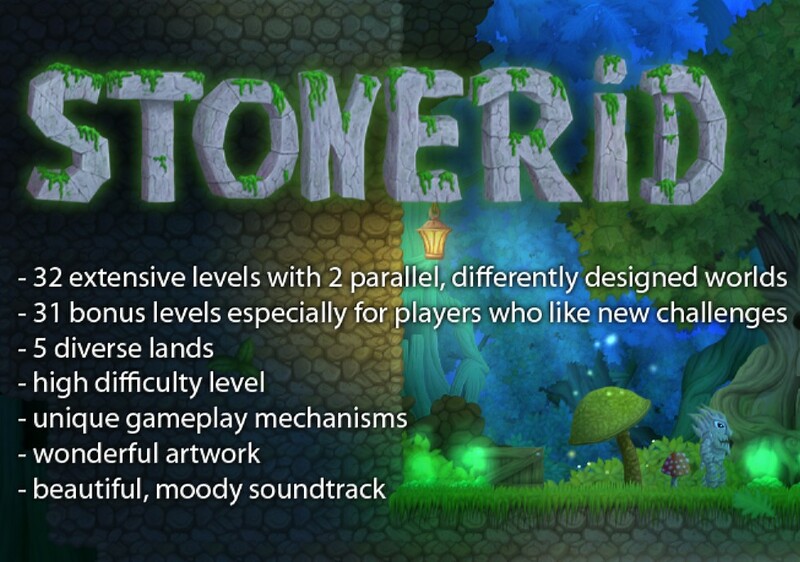 Demo version of Stonerid contains tutorial and 4 levels.